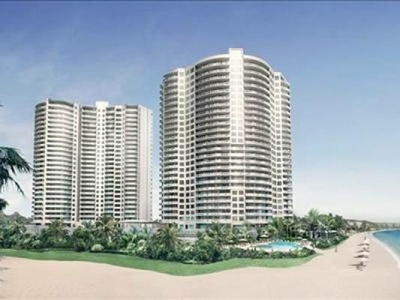 Ritz Carlton North Ocean is a 242 unit two Tower Condominium complex, Located on Singer Island it’s site on 375 feet of oceanfront Property. Each Tower is 27 stories. Amenities includes: Two Heated Pools, Poolside Cabanas, A Fitness Center, Pool Club with private grille, Theater,Concierge and Valet Service, Full service business center, Garage Parking, 24-hr staffed security. Each residence will be accessed via a private elevator, spacious living areas and designer kitchen and many upgrades features. Three fabulous penthouses with private rooftop terraces, Four magnificent “sky estates” with over more that 7,000 square feet of air-conditioned living space.